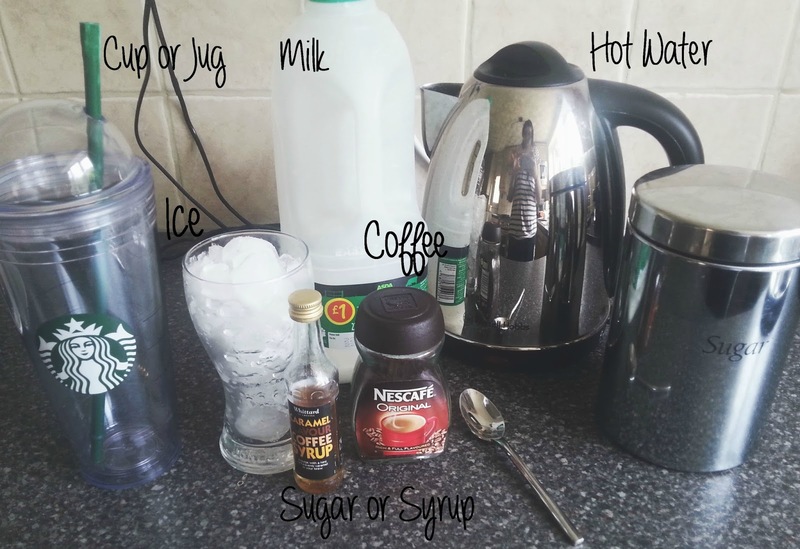 Today, I have for you a quick and easy DIY summer drink that you can enjoy on a hot summers day! When I say its quick and easy I mean it really is, it doesn't involve any fancy equipment or blenders ect just a few simple things that you should have lying around the house! 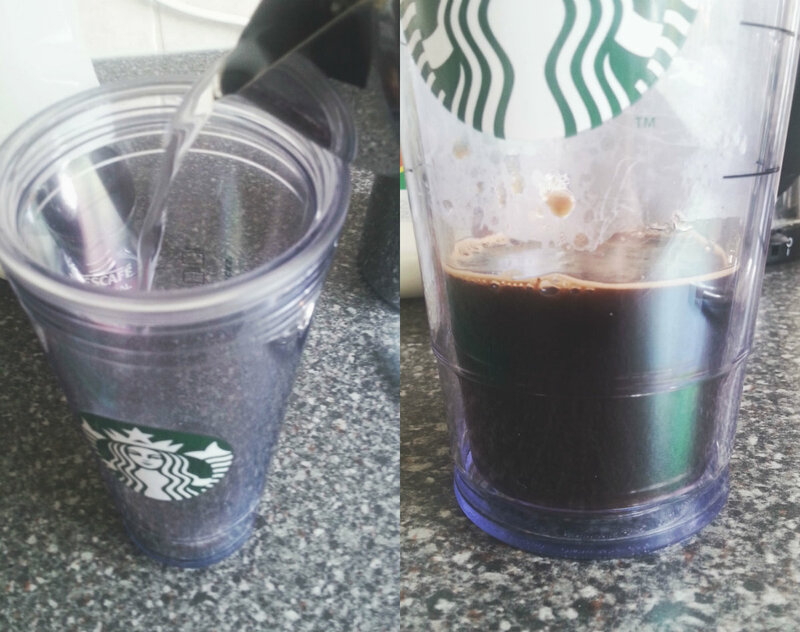 I used my tumbler from Starbucks so the amount of things I used doubled compared to a smaller cup or cute little jar. The first things you want to do is to add your teaspoons of coffee into your cup, I used 2 and a little bit and this Nescafe is really strong but I like some strong coffee. 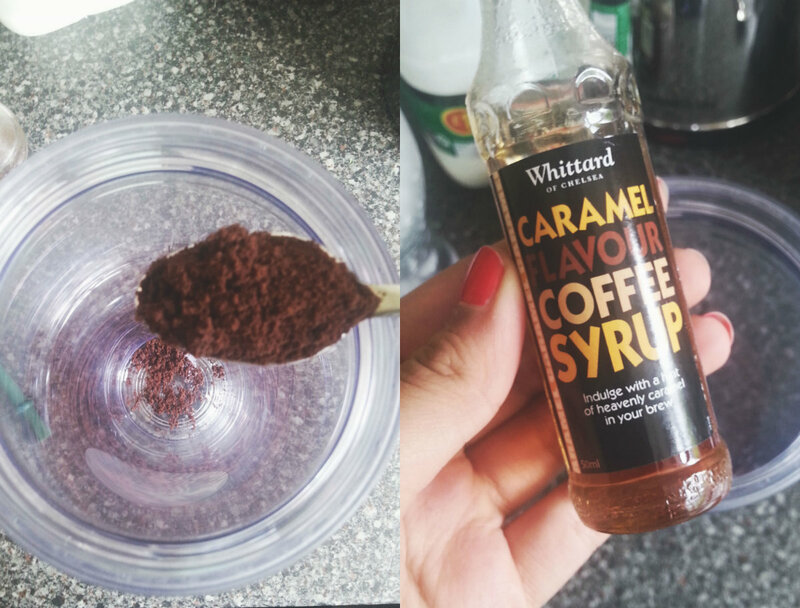 To this I added some Caramel Syrup but you can add sugar if you prefer or nothing as well - its up to personal preference. 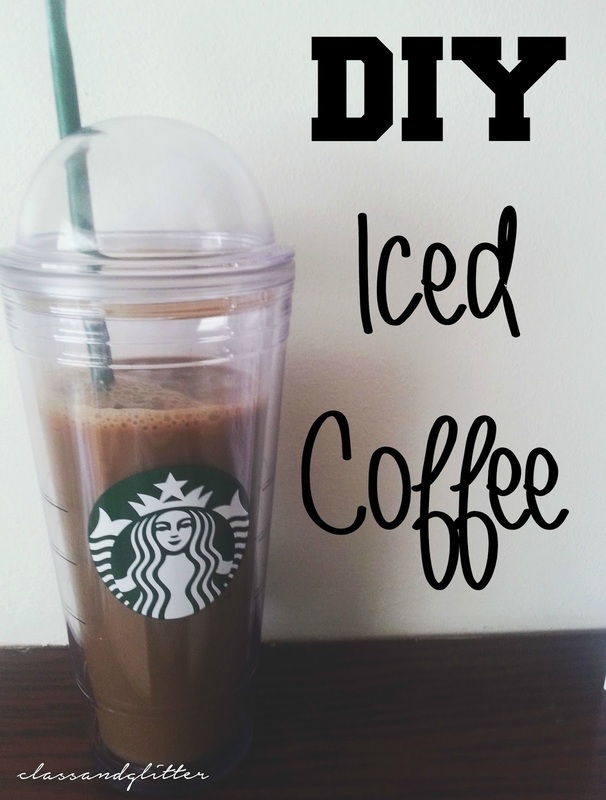 You then want to add some hot water to the coffee, only enough to mix the coffee thoroughly but if you prefer your iced coffees a lot more stronger than add more water. Make sure you stir it properly so that everything is mixed well together. Then you want to fill it up with milk seen as though this is a iced coffee, we need something colder than the water to give it that iced feel as well as colour that it makes. 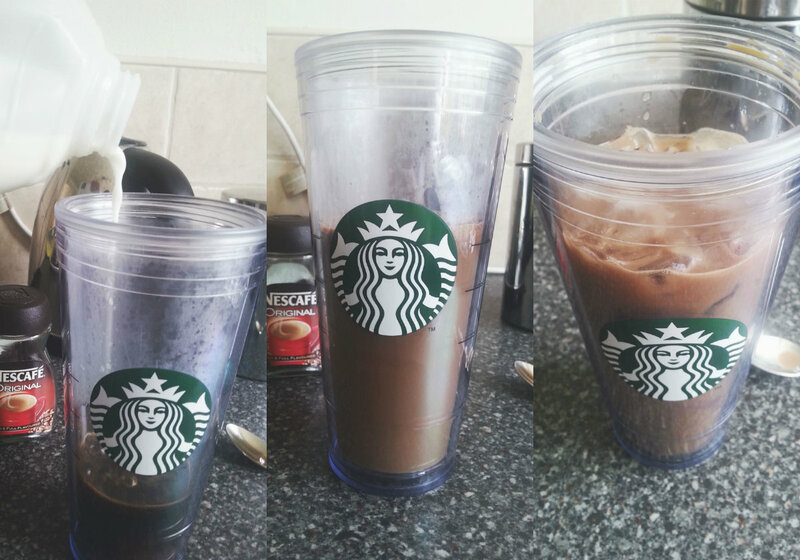 I added more milk afterwards as I love more milk, but again its personal preference. Then you want to add some ice cubes, this will instantly add the 'iced and cold' feeling to your drink and that's it! Time to enjoy! How easy?! Very. I will be making this a lot this summer, and its a lot cheaper than going out and buying one! Hope you enjoyed reading.